Jack is a sophomore from Rockville Centre, NY. He majors in history, with an emphasis on American legal and political history. In his free time, he loves to read novels, watch baseball, and write political commentary for the Wake Forest Review. He is also a member of Sigma Pi Fraternity on campus. Jordan Lancaster is a junior from Greensboro, North Carolina. She is majoring in political science and communications, and minoring in entrepreneurship. Jordan works as the Digital Director for the Wake Forest Review and is involved in College Republicans. Jordan runs her own national news outlet, Right Outlook News. Jenna is a sophomore from New Jersey majoring in Politics & International Affairs and Elementary Education. 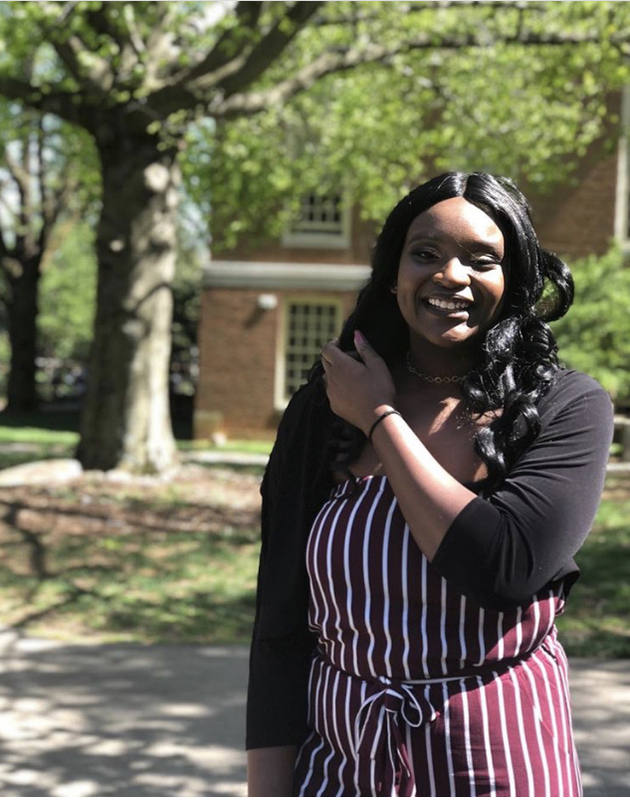 When not in class, she is involved as a senator for Student Government, a member of Alpha Phi Omega, a vestry member for the Episcopal Student Fellowship, and a tour guide. Miles Palmore-Middleton is a Sophomore from Amityville, Long Island, New York, majoring in Political Science. Miles serves as an Army ROTC Cadet and a Senator on the Wake Forest Student Government. Miles is a member of the Xi Eta Chapter at Wake Forest of Alpha Phi Alpha Fraternity, Incorporated. Matt Schlosser is a double major in Politics/International Affairs and English. In addition to serving as a Student Director for Dash Corps, a civic leadership program for first-year students, Matt is the President of Alexander Literary Organization, which works to rebuild connections between incarcerated individuals and society. Anne Winfrey is a junior Political Science major and English minor. I am from outside of Atlanta, Georgia, but my family recently moved to Colorado. In my free time, I love participating in intramural sports, exploring restaurants in Winston-Salem, and working with Campus Kitchen! Lisa is a sophomore from New York City planning to major in History and minor in Politics and International Affairs. She is Vice President of College Republicans, and a writer for the Wake Forest Review and a vestry member of the Episcopal Student Fellowship. She interned on Capitol Hill for Congresswoman Elise Stefanik (R NY21). Caleb is a Junior studying Politics and International Studies with minors in both Sociology and Education. He is an active member in WFU’s Campus Kitchen, Campus Life Advisory Council, and Interfraternity Council. Caleb is returning to Wake The Vote after high-fiving FLOTUS Obama in 2016! Joseph us a history major with an interest in both politics and classical studies, focusing on the Hellenistic period in Greece. In 2017, he travelled to Athens, Greece to spend a semester studying his passions. Joseph worked for a law firm focusing on social justice and criminal law, and I plan on continuing that path in the futue. Walter Jackson is a junior majoring in Politics and International Affairs. He participates in Alpha Kappa Psi, Baptist student Union, and Model U.N. He is a senator and the co-chair of a senate standing committee in the Wake Forest Student Government. 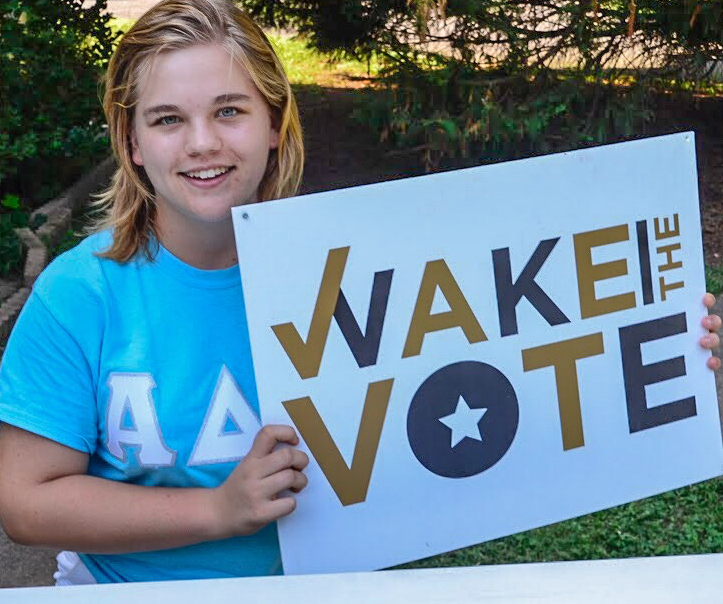 Walter is returning to Wake the Vote after engaging the program in 2016. 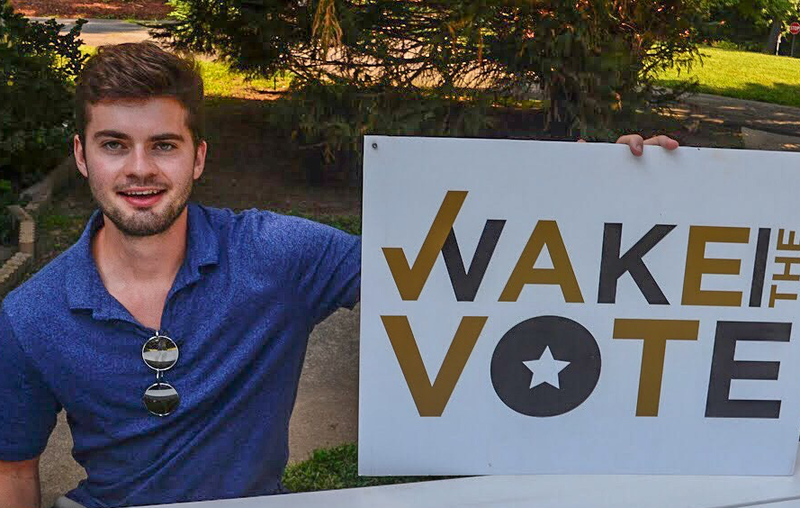 A Senior majoring in politics, Charlie helped established Cultivate Consciousness, a green solutions think tank, during his Freshman year at Wake. Currently, Charlie is working on a student initiative with Wake’s endowment to ensure greater student engagement. Kayla Heilig is a senior Sociology with a concentration in Crime and Criminal Justice major and Journalism minor from Winston-Salem, North Carolina. In her free time she enjoys being able to create, whether that be physically or working with multimedia tools and applications. When she is not attending to her duties as a Resident Adviser you can find her at the WFU Police Department supervising the division of Deacon Student Patrol Officers. Joseph is a Sophomore planning to major in Political Science and minor in Chinese language and culture. During the summer, Joseph was the head swim coach for a metro Atlanta swim team of 170 swimmers. Joseph is a member of Project Launch which tutors seventh graders at a local Winston-Salem middle school. Kat is a Junior from Chapel Hill, NC majoring in Politics & International Affairs and minoring in Environmental Science. On campus, she works with the Office of Sustainability, is a research assistant in the Wake Forest Law School and is a member of Chi Omega. She was also baby-sitting at the same time we were taking Wake the Vote photos! See what I mean?—- hard working!